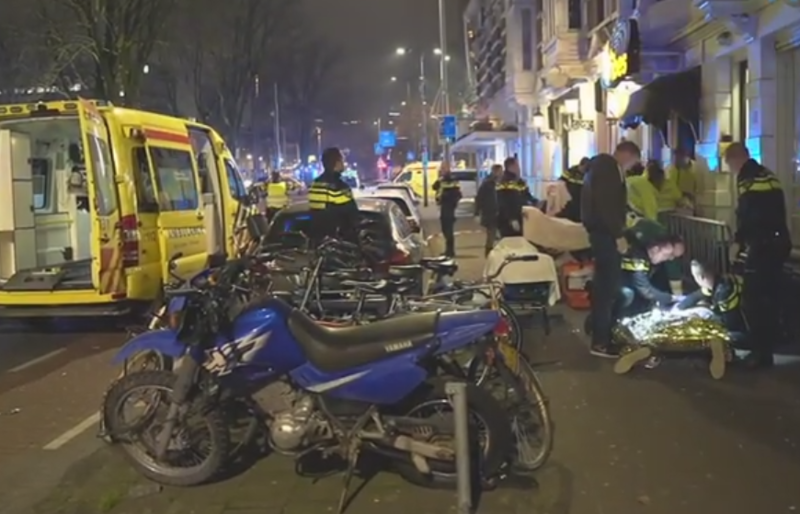 A stabbing in the early morning hours in front of the door at nightclub Vibes in Rotterdam has left three people in hospital. The events took place around closing time in the Westersingel area of the city. Two victims remain in hospital with serious injuries. The police say the condition of one of them is 'worrying'. One of the victims, a 22-year-old man from Ridderkerk, had to undergo a lifesaving operation on the street, reports the police. His condition and that of a second seriously injured person (23 years old) is worrying. The third victim received first aid on the spot and will be able to leave the hospital later today. The police quickly arrested four people after the incident. A 31-year-old man from Rotterdam was arrested at the place of the stabbing whilst three other suspects (19, 21 and 28 years) drove away in a car. The suspects are from the region and police is now trying to locate them. The victims lay outside in the street on the threshold of the nightclub, which would close around the time of the stabbing. There were still some 30 people inside when the alarm went off and emergency services had to be called in. Je gaat " op stap " met een #steekwapen?!?. It remains unclear what preceded the stabbing. Social media buzz says that a group of youngsters was not allowed inside and started arguing with the bouncers. Police is looking at security footage of the incident and claims that the three victims were part of a group of friends that did not know their assailants. The police closed the Westersingel area and started a major operation to find the culprits. Rotterdam is the second largest city in Holland. It has seen a steady rise of crime and attacks in the past few years. where's a pic of the MUSLIM suspects?